Old lawn equipment might have little to no use to you. But, that doesn’t mean it’s not worth anything. In fact, there’s probably more you can do with old lawn equipment than you think. The problem many people face when it comes to a worn out mower, a bad line trimmer, or a failing edger is what do with them. Furthermore, what makes it worse is most local trash collection agencies won’t pick them up from the curb. This is due to regulations about hazardous materials. So, what can you do with old lawn equipment? However frustrating it might first seem, you can get rid of old landscape tools and machines. Unfortunately, it’s a lot like dealing with old fitness equipment — there’s little to no demand. But, this doesn’t mean your outright out-of-luck. You just have to think creatively. One option is to repair and restore it. Just change out the fuel and air filter. 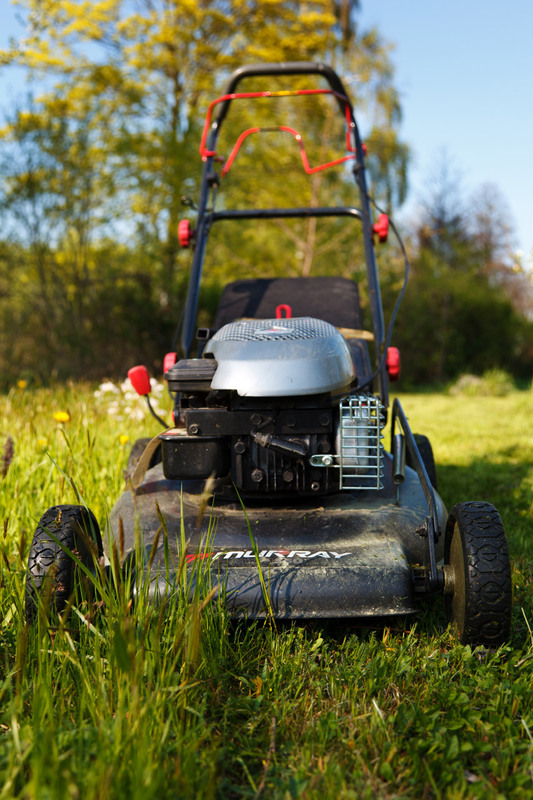 Change the oil, be sure to sharpen the blade and you can continue to use that old lawnmower. Give it away. You can always place it on the curb with a “Free” sign attached. Or, if it’s salvageable and can be repaired, give it away to a handy neighbor or friend. Perhaps there’s a coworker who could use it. Donate it locally. If the equipment is still in working order, there are some charitable and other organizations who would welcome a donation. A nearby church, private school, shelter, or other entity might take it off your hands for their benefit. Sell various parts. Another option is to take it apart and sell the parts individually. Or, you can take it to a garden and lawn machine shop. Ask the owner or manager if they’d pay a little for it or just accept it to get rid of it. Sell it as a bundle. Also, you could sell it cheap as a bundled deal to a local landscaping or lawn care business. It’s common for small businesses like these to buy lawn equipment they can repair and reuse since it’s cost-effective. If you need old lawn equipment disposal, just phone 800-433-1094 or visit Junk Garbage Removal.